Somehow after routine cleanings and multiple moves an ancient jar of pepperoncinis manages to remain, except there are no pepperoncinis left, just the pickled pepperoncini brine. I’m guessing it’s from the early 1990s. What if I gargle with it? 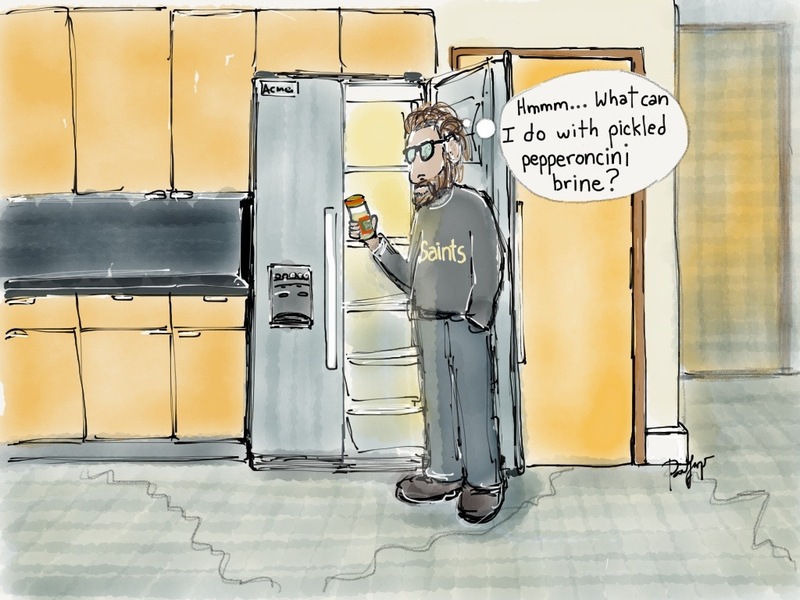 This entry was posted in Cartoon, Digital Artwork, iPad Art, Sketches and tagged Fifty Three Paper, fridge, gargle, moving, pickled pepperoncini brine, Whiteline Lofts by portfoliolongo.com. Bookmark the permalink. Perhaps like me, waiting for that special recipe that calls for only the brine.